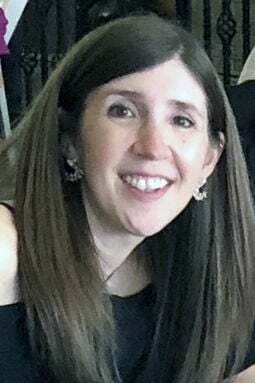 Alexa Kristine Johnson, 39, of Omaha, died unexpectedly during her sleep at her home, following a short illness on Nov. 12, 2018. She was the beloved wife of Joseph Kavan, whom she married in 2006. Alexa was born on Oct. 28, 1979, in Falls Church, Virginia, the daughter of Larry and Irene Johnson. She graduated from Fremont High School with the class of 1998. She attended the University of Nebraska. Following her marriage to Joe, she lived in West Des Moines, Iowa. While in Iowa she accepted a job at Metropolitan Life. In 2007, Alexa and Joe moved to Manchester, Connecticut. Alexa continued her employment with Metropolitan Life, where she was an annuity specialist. Alexa enjoyed the challenges of her job very much and developed close friendships with many fellow employees. Both Alexa and Joe enjoyed their many visits to Boston and New York City as well as trips to Spain and Canada. Alexa gave birth to Maxwell in 2014. In 2015, Joe accepted a job with the Army Corps of Engineers in Omaha. Met Life encouraged Alexa to continue her employment by allowing her to work from home with some travel opportunities. Alexa’s life centered around her family. She was a wonderful partner and wife to Joe; a loving and devoted mother to Maxwell, now 4 years old, and a doting Aunt. Alexa’s greatest love was spending time with and teaching Maxwell. She was a loyal and enthusiastic Husker fan, a voracious reader and a fan of multiple movie genres. Survivors include her husband Joe; her son, Maxwell; parents, Larry and Irene Johnson of Fremont; her mother-in-law, Carol Kavan of Wahoo; her brothers, Adam Johnson of Fremont and Mark (Emily) Johnson; brothers-in-law, Nick (Jamie) Kavan of Lincoln, Mike Kavan of Augusta, Georgia; grandmother, Betty Johnson of Fremont; uncles and aunts, Tom and Susan Conroy of New Jersey, Royce and Marilyn Johnson of California, Wayne and Lindy Johnson of California; nephews, Benjamin, William, Theodore and Jack of Omaha, and Kamdyn and Aidyn of Lincoln. Alexa was preceded in death by her brother, Erik Johnson. Services celebrating Alexa’s life will be at 10:30 a.m. on Friday, Nov. 16, at St. Timothy’s Lutheran Church in Fremont. Visitation with the family will be from 6 p.m. to 8 p.m. on Thursday, Nov. 15, at Ludvigsen Mortuary in Fremont. Memorials are suggested to the Nebraska Humane Society or the Omaha Open Door Mission.